After many requests we have created a compact, special balun for OCF and loop (Skyloop or Delta loop) antennas without vertical radiators. The CB-4-1500OCF is a CUBE enclosure containing a multi-core, broadband 4:1 impedance transformer in series with a 1:1 current balun for extra common mode current choking to keep RF current off the outside of the coax braid and on the antenna where it belongs. The extra choking action also means that the coax feed line will not act as a radiator causing unnecessary RF interference (RFI). Rated for full 1500 watts PEP and 450 watts CW (ICAS). 1.8Mhz – 61 MHz. 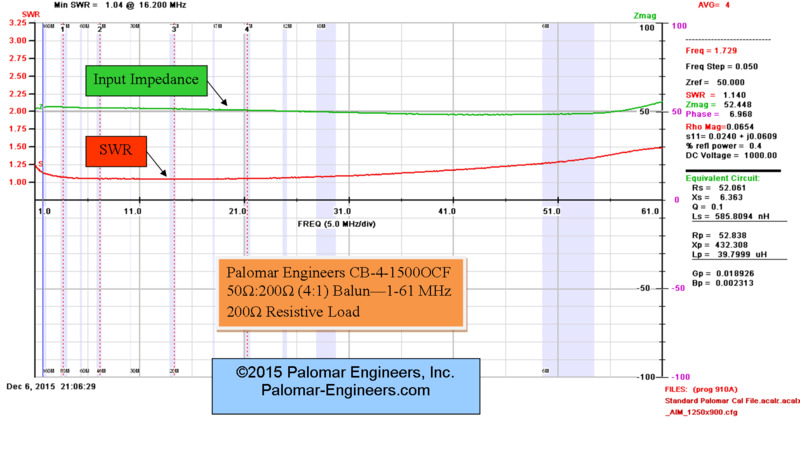 The CB-4-3000OCF and CB-4-5000 OCF have a frequency range of 1.8-31 MHz and do not cover 6 meters. 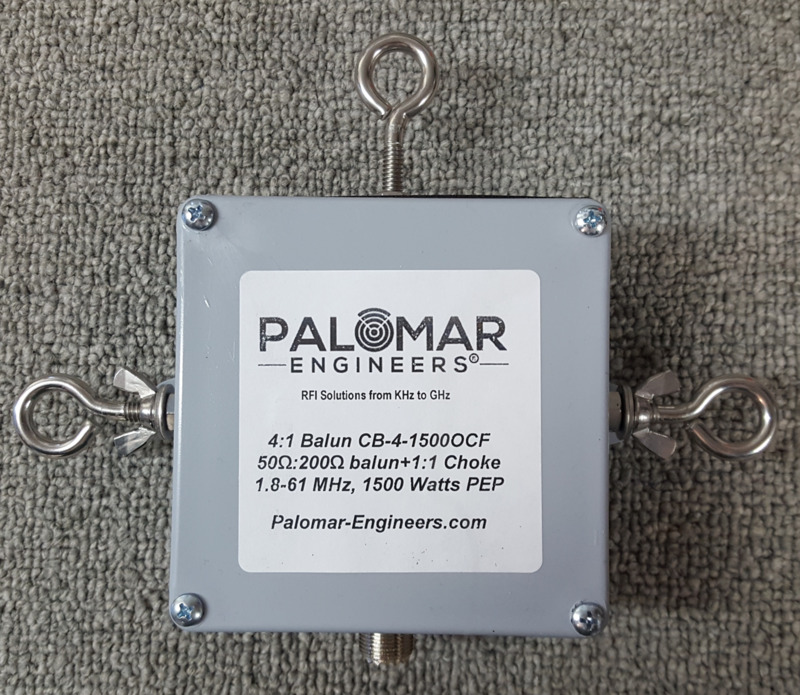 CB-4-1500OCF is housed in a 4” x 4” x 2” waterproof housing with SO-239 input and stainless steel eye bolts on the side for ease of connection to your wire antenna. Top eye bolt acts as an antenna hoist. Use this balun combination when you DO NOT have a vertical radiator. 3KW and 5KW are in 6" x 6" x 4" enclosure. 1.5KW is 3 pounds, 3KW is 4 pounds, 5KW is 5 pounds. We recommend a 29%/71% offset for best all band results. If you use 66%/34% offset, do not use on 15 meters as the impedance mismatch will damage the balun.